I have it and love it. The design is sleek and cool. The only thing if you've got long nails, it's uncomfortable to type. monovirus17, 30 Jan 2012nope. I am still using the stock kernel. I am afraid to brick my phone. Btw, I will try his ne... moreMe too dude.....just dont want to crash. did you check mutitoch......check xda...for some it did...for me it didnt....sm cypress,synaptic thing...got confused...maybe works for you. AtiFroyo 5.2.....chekkin out rite nw. perfect match to users, anybody can prove it's amaze..keep using sony ericsson products they're just good as good. i like sony also but, i dunno how to upgrade the prossesor.. The battery life of this phone in stand-by mode is excellent. When I shut off wifi, 3G and use app-killer to manage running programs, the phone gets battery life of easily over a week. The phone is now a basic smart phone, it lacks many features compared with the latest phone OS' like the Nexus or iphone 4S but for a compact phone that has the basic smartphone features and excellent batt life, it pwns. SoLzz, 28 Jan 2012Hey hav you tried any other kernal and roms?? Anything better?nope. I am still using the stock kernel. I am afraid to brick my phone. Btw, I will try his new version, AtiFroyo 5.2. 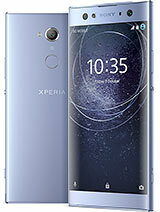 It has an Xperia Theme with 4 corners where you can add multiple shortcuts in 1 corner. If you're particular with status symbol, go for the Galaxy Y, because it's the newer model; if you're unto performance, get the X8. I have a 1-year-old X8; my wife just bought a Galaxy Y. Their major differences are with WiFi (X8 supports wireless B & G; Y supports B, G, & N), processor (Y is faster), internal storage (Y has bigger), video (X8 is better), camera (X8 has higher MP) and of course, price (X8 is a lot expensive when it first came out). I still favor X8. I love the homescreen, simple UI, good quality sound (Sony, remember? ), & definitely its closer affinity to my entertainment taste. monovirus17, 27 Jan 2012yeah! I'm using AtiFroyo v5 and it is really fast..Hey hav you tried any other kernal and roms?? what is a better choice, SE x8 or the samsung galaxy young?? pls help.. thank you.. Anonymous, 26 Jan 2012I'm planing to buy this phone. Can someone please answer some questions and warn me if there's... moreall the things are good in the devcie .